New Murals Headed for Neighborhood as Part of District Walls | Park View, D.C.
New Park View mural on Georgia Avenue between Lamont and Kenyon. The Georgia Avenue corridor is about to get more colorful in the coming days. I’m sure many have already noticed the new Park View mural on the west side of Georgia midway between Lamont and Kenyon (see inset), but there are two more that I am aware of that will be in progress starting today — one on the side of 829 Rock Creek Church Road (west of Georgia) and one on the side of 649 Kenyon Street (just east of Georgia Avenue). 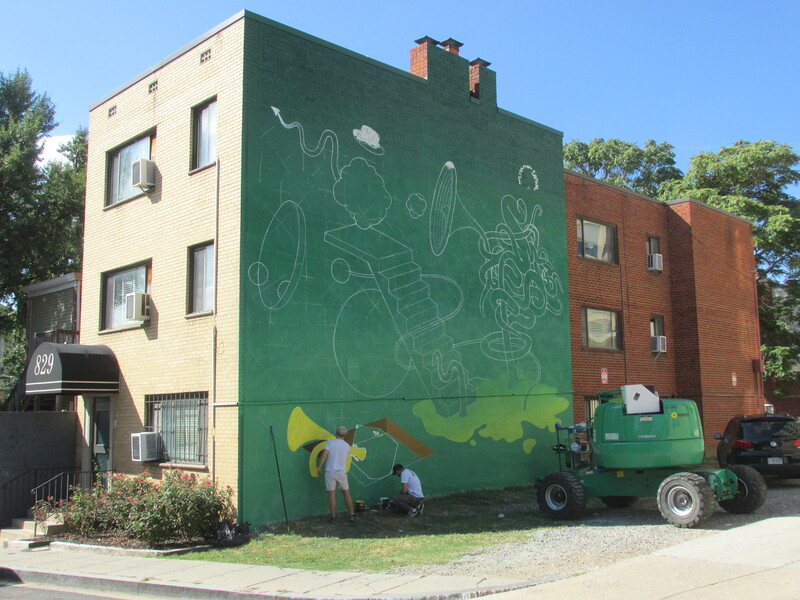 The new murals on Kenyon and Rock Creek Church Road are part of Art Whino’s District Walls project. Art Whino will be curating 10 world renowned abstract muralists who will be painting murals through Washington, DC. Numerous local artists will assist these muralists, allowing for an exchange of artistic knowledge. 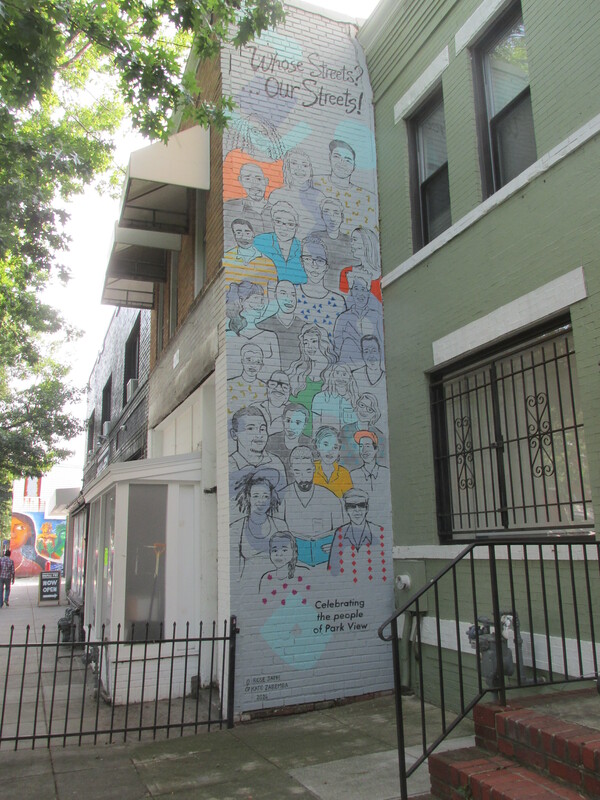 DISTRICT WALLS is supported in part by the DC Commission on the Arts and Humanities. Muralist began painting the week of September 19th and will finish their murals by September 30th. Below is a photo of the mural on Rock Creek Church Road in progress. … and below is the design created by artist Remi Rough for the side of Kenyon Place. This entry was posted on September 26, 2016 at 7:01 am and is filed under Art, Music. You can subscribe via RSS 2.0 feed to this post's comments. Loving the public art going up in our neighborhood, and thank you to the property owners for sharing their spaces with us!